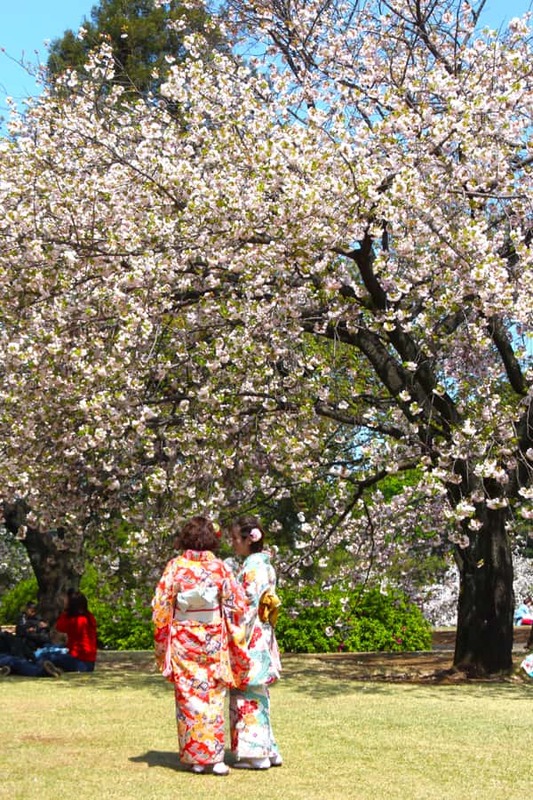 Japan in April is stunning, with shimmering cherry blossoms, bright green and red maples and beautifully trimmed pines everywhere. 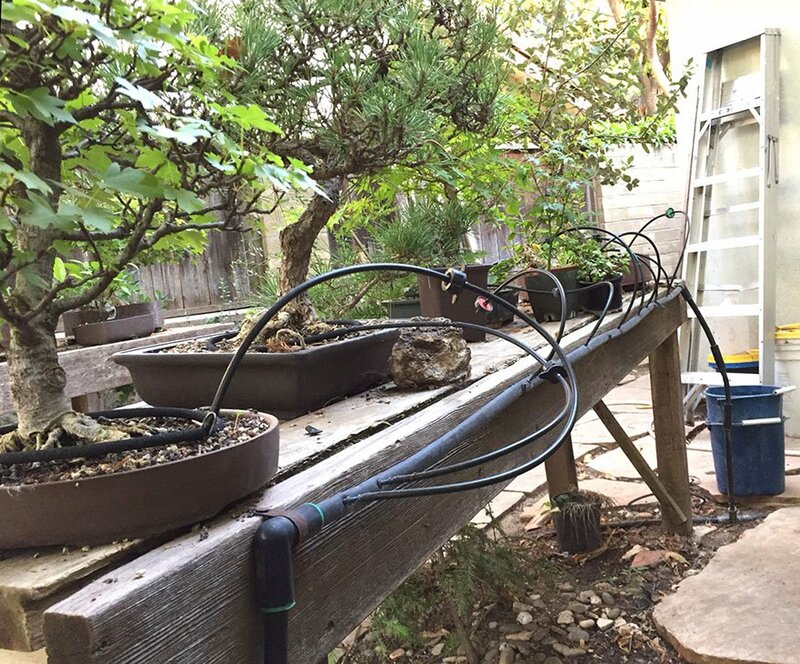 Plus bonsai of course. 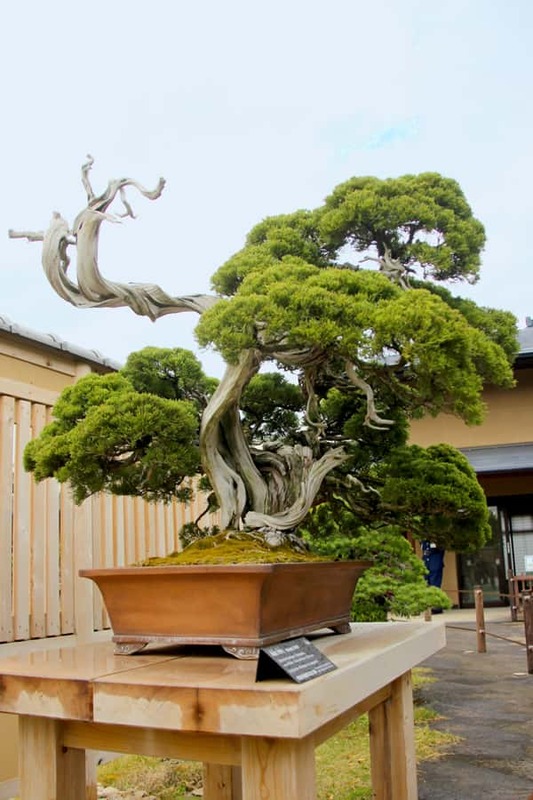 We saw some amazing ones in Kyoto and at Omiya Bonsai Village in Saitama City. At the July Tuesday meeting, I will be showing a few (less than 1000, I promise) slides, including a few of the Shinto shrines and Buddhist temples that were so prevalent, you’d be hard-pressed to throw a sacred stone and not hit one. We saw the largest outdoor Buddha in Japan and the amazing Ishi Doro (lanterns) of Nara. There are also some nice shots of me in a silk kimono (not!). Meet and greet begins at 7 p.m., the meeting at 7:30. See you all there! 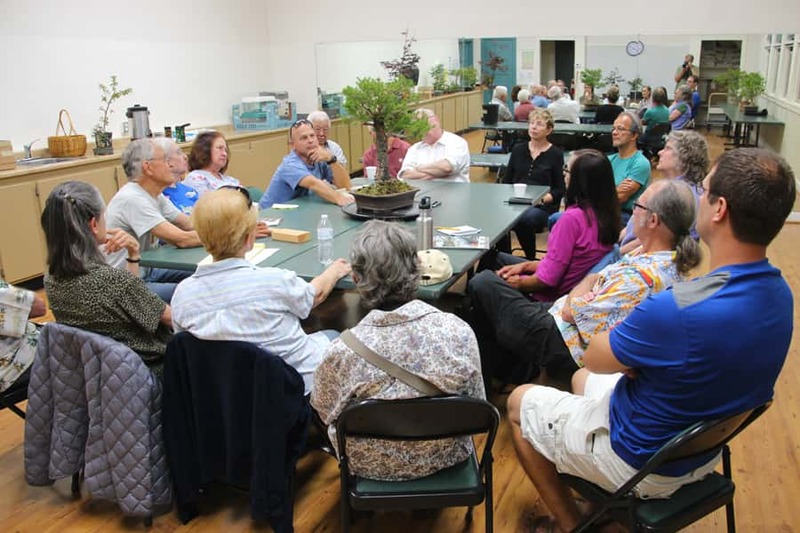 Welcome to our new members who participated in the Bonsai Basics Workshop in June. I hope to see you often at our meetings and workshops. I think that you will find the club is a congenial and helpful group that grows some very nice little trees. Speaking of workshops, a new semester of them begins this month. Fill out and bring the entry form to the Tuesday meeting or mail it to the club’s PO box. 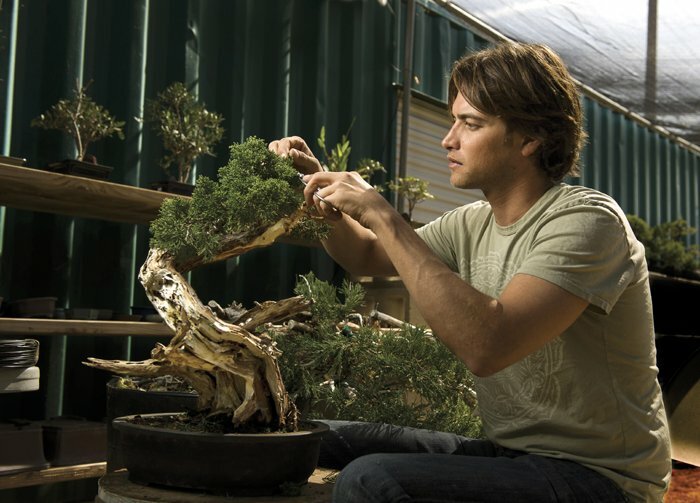 This month’s guest instructor is Ted Matson, curator of the bonsai collection at the Huntington in San Marino and one of the best teachers you will find anywhere. 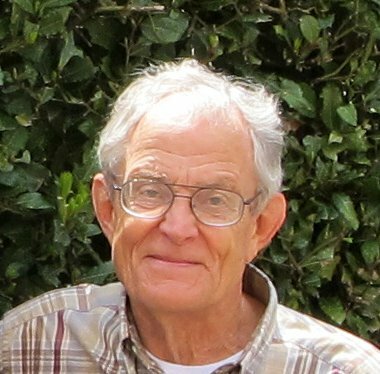 I had the privilege of previewing Ernie Witham’s presentation on his recent trip to Japan, but I will be out of town and unable to attend our meeting, as will a record number of other members, so if you are able to be there, please make the effort to do so. You and Ernie will both be glad you did. 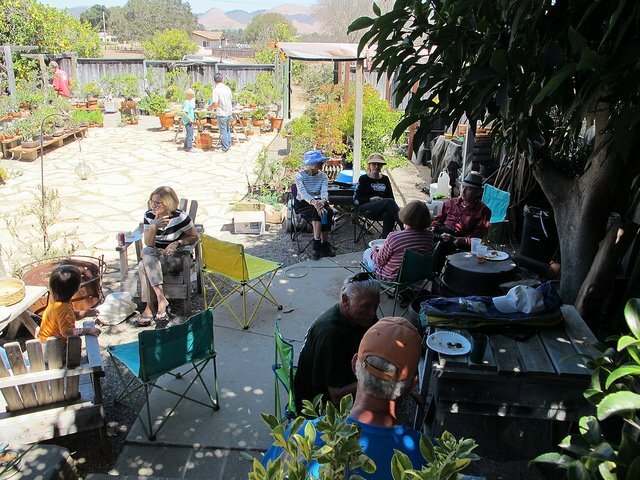 Next month our annual Summer potluck happens. Tina Hammond has offered to have it at her house. You might remember that she was going to host our Winter potluck but had to cancel because of the awful air quality during the Thomas Fire. 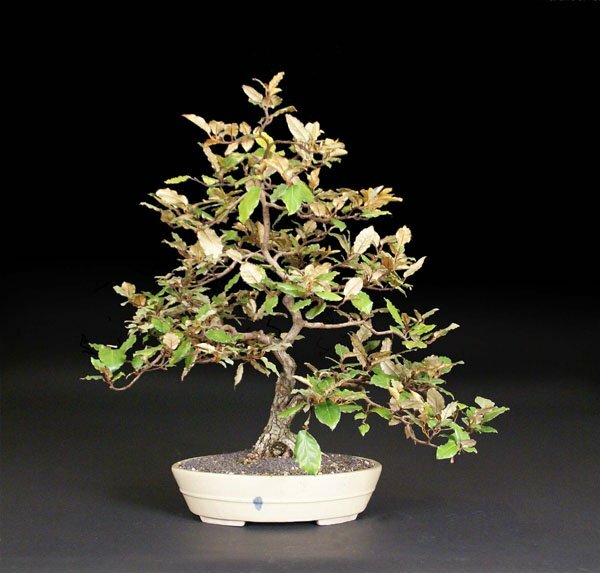 There will be a private collection reduction sale of a large collection of world class bonsai on July 7th and 8th 2018 in Los Angeles California. Well over one hundred bonsai will be offered for sale, a once in a lifetime opportunity to acquire some excellent specimen bonsai. Many large one of a kind trees will be available. 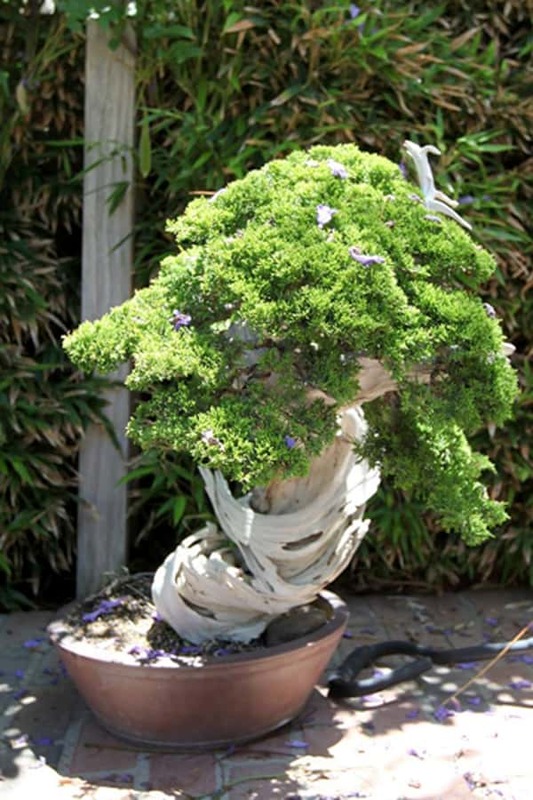 All bonsai will be sold and must be removed on the weekend of sale. Most of these trees are quite large and will require a van or small truck. Arrangements for removal from sale site and to a local nursery for later pick up will be possible for a fee. Shipping may be an option if buyer makes all arrangements for pickup and delivery. Trees can be crated at cost ($25 per man/hour plus materials) and buyer will make all arrangements and payments for shipping. Many of the trees will require at least two people to crate due to size. Please Note: This sale is being held in a private gated community. Attendees MUST RSVP by private message at least 48 hours prior to the sale in order to be passed through security. Absolutely no one will be admitted into the community without an RSVP. These are the community rules. • Trees will be double tagged and everyone must take one tag to cashier and pay. Any tree that does not have a double tag is sold. No one carries a tree except for employees. 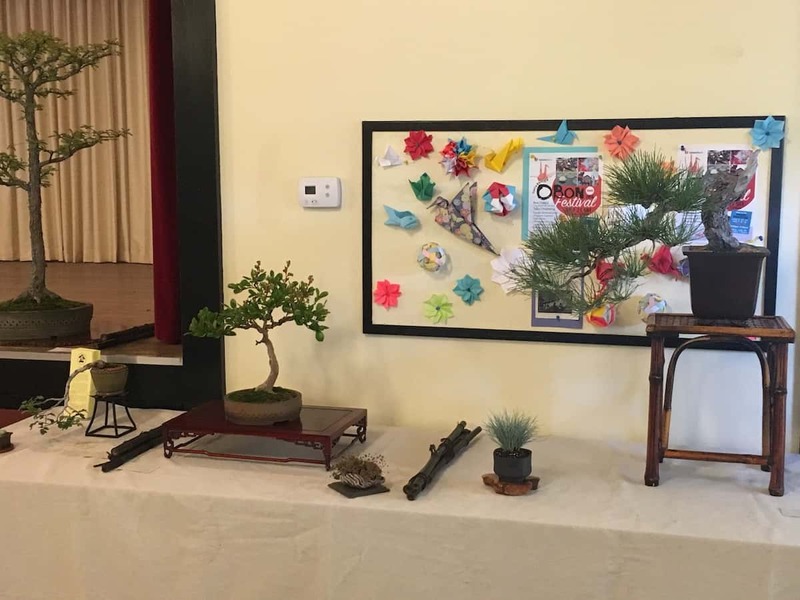 Once again, our club has been asked to bring trees to the Buddhist Temple of Santa Barbara, 1015 East Montecito Street, for a bonsai display during their Obon Festival. If you would like to show a tree, please contact Joe Olson at joeyuccaseed@verizon.net. It is a fun day with drumming dancing, food and more. 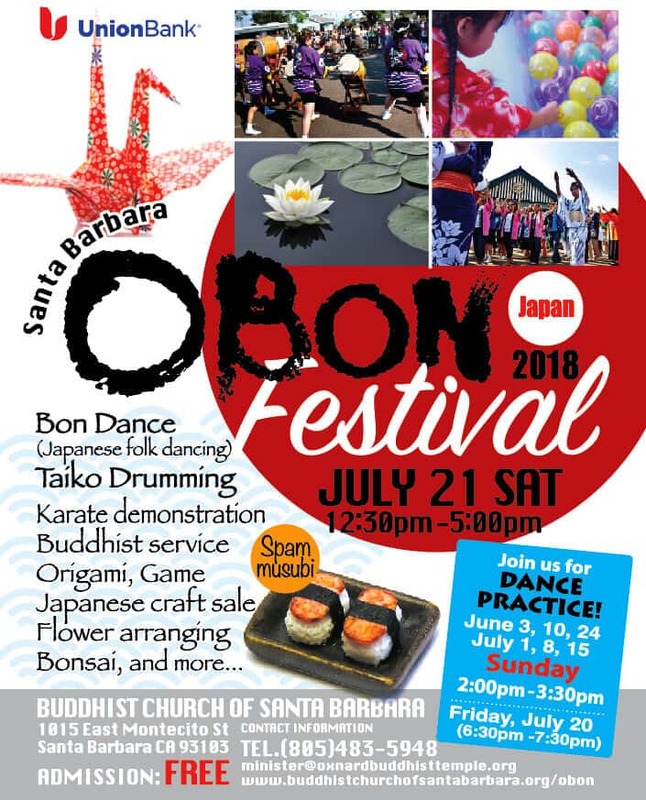 The Temple says: “The Buddhist observance of Obon has its origins in the scripture Ullambana Sutra spoken by the Buddha. The sutras are the sacred scriptures of Buddhism, and serve as records of the interactions that the Buddha had with various people during the 45 years that he spent sharing the Dharma. The Ullambana Sutra describes an occasion when one of the Buddha’s two chief disciples, Mahamaudgalyayana (pronouced “Ma-ha-mode-gall-yaa-ya-na”), went to the Buddha seeking guidance.